Colleen Kennedy, Joseph Vitali, Nick Gabriel, Riley Freidel, Shelby Saju, Hunter Caola, Kason Romanowski and Nezaria Lorenzo Moore. 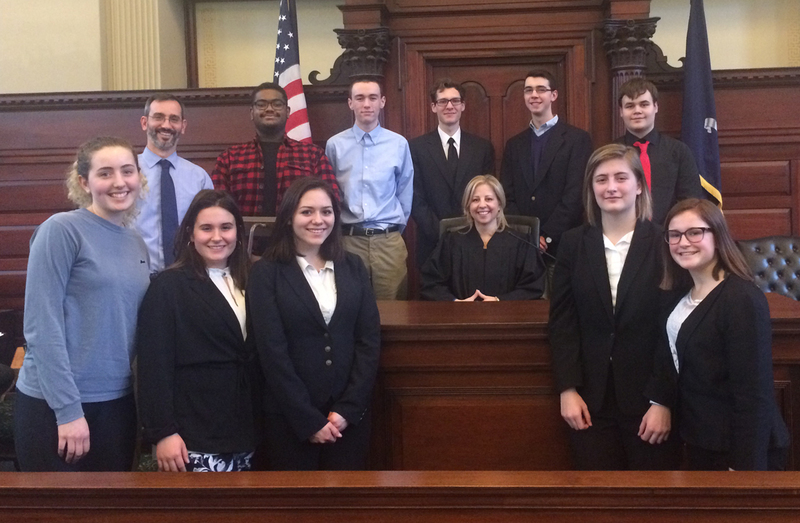 Columbia High School won the Rensselaer County Mock Trial Tournament on Thursday evening and will advance to the regional tournament in April. The competition, which is sponsored by the New York State Bar Association, has students train to be lawyers and witnesses who argue a case against opposing teams. Columbia won trials against the other four teams in the two preliminary rounds, the semifinals and the finals. Students prepared by meeting with two local attorneys, Cynthia LaClair and Timothy Tippins, who helped them to learn the Mock Trials rules and trial procedures, and how to develop direct and cross examinations. The students who portrayed witnesses memorized affidavits and prepared for direct and cross examinations.